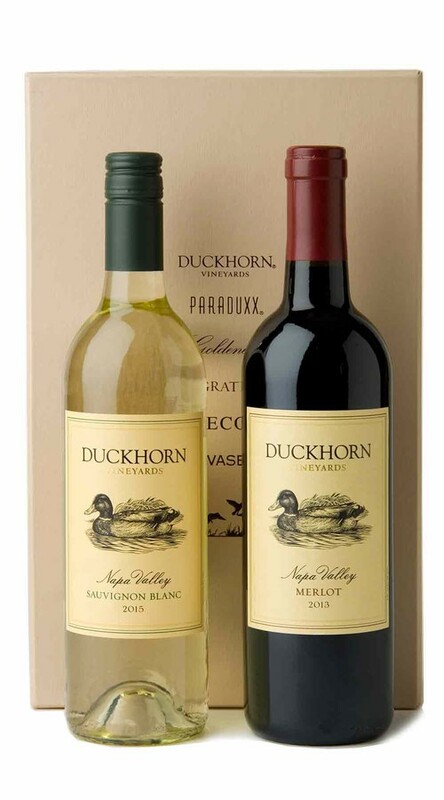 One of our best selling gifts, this palate-pleasing selection of two world-class Napa Valley wines is perfect for any occasion. Classic Napa Valley Merlot paired with Sauvignon Blanc. Presented in a gift box.